I hope that you’re doing well! It's about the project that is close to my heart - "Gratitude Pie". I am practicing it for 4 months now and I can certainly say- It works! But until yet, it's a manual process which takes time and effort. 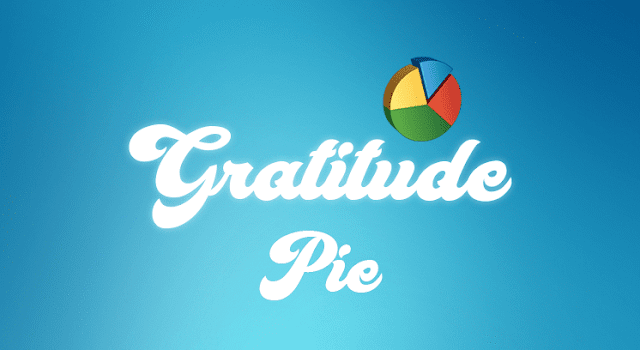 The good news is- I am planning to take this idea forward to develop a mobile App so that we all can store our gratitude moments on-the-go. Gratitude is the only positive emotion that promises Happiness and good Health. Life will never be perfect for any of us but Gratitude encourages us to identify some amount of goodness in our life. To accomplish the goal, I would need your support. THE CAMPAIGN IS LIVE! Check it out. Apart from the satisfaction to be a part of Project which aims at creating a happy you, you will get some rewards too. Additional Reward for the Blog subscribers- App will be forever FREE for you even if it turns out paid in future. All contributions, monetary and non-monetary, will be greatly appreciated. Please let me know if you have any questions about this project.